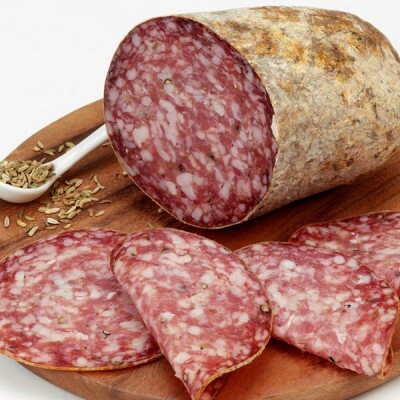 Cured salami prepared with selected Italian pork meat which is finely ground. It’s a typical Tuscan product made in the traditional way and flavoured with fennel seeds. Pork, salt, natural flavourings, sugars: dextrose, saccharose; antioxidant: E301; preservatives: E252, E250.